MyWellbeing was established in 2008 by Rachel Gaffey. This is a project born out of Love for Health, Yoga and Wellbeing! Since it’s inception MyWellbeing have worked with a great team of energetic teachers, committed to making you feel fabulous. Our teachers come from wide and varied backgrounds, all experts in their fields, come on in and see for yourself. Most classes are taught by Rachel, however for holidays, extra classes and class cover we also like to keep it in the family, so you will most like come across Rachel’s sisters Kate and Suzanne and her mother Lorna! She is training her 3 children up as little yogis too for the next generation! Rachel has a love of Yoga, Pilates, Strength Training, Fitness and overall Wellbeing. She began teaching in 2006 and founded MyWellbeing.ie in 2008 and has been teaching full time since. Her classes are always fun and students have praised her personal attention and ability to mix challenging postures with a fun environment. Rachel is a mum to three amazing children, Clodagh, Orlagh and Ronan. After three very comfortable pregnancies and 3 calm, gentle, drug free births, she is committed to women’s health and helping other women through their pregnancy, birth and postnatal journeys. 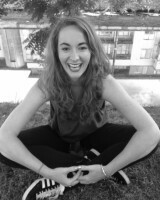 Rachel holds a teaching diploma from Yoga Therapy Ireland and is a member of the Yoga Federation of Ireland. Rachel is STOTT Pilates trained and also holds a diploma in Fitness, Gym Instruction and Personal Training from ITEC and has an ITEC diploma in Diet and Nutrition. Rachel is also a Reiki Master and Life Coach. Rainbow Kids, Total Barre™, IAIM Baby Massage Instructor, STOTT Pilates Pre and Post Natal, YTI Pre and Post Natal, Mum and Baby, YTI Yoga Diploma, STOTT Pilates, Tera-Mai Reiki Master, New Insights Trained Life Coach, ITEC Diploma in Diet and Nutrition, ITEC Fitness Studio Teaching, ITEC Gym Instruction & Personal Trainer. Rachel holds a BComm from UCD and is also a graduate of the Smurfit Business School with an MSc in Marketing Practice. Suzanne is a Pilates Instructor who has an enormous appreciation for how Pilates has transformed her posture, core strength and mind-body connection. Her belief is that the core strength utilized in Pilates should be the foundation for any form of movement. Having lived in New York for many years, Suzanne always experimented with different forms of movement. Since returning to Ireland She has furthered her journey & completed her Pilates Teacher Training. It is her passion to make people feel their best and her goal after joining a class with her is that you will leave feeling stronger, more flexible and relaxed. Her personable and down to earth attitude make sharing a class with her a real treat! 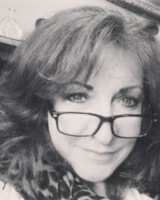 Suzanne holds a B.A in Business and Sociology from Trinity College Dublin.